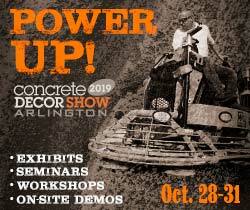 Each year, as paint manufacturers assess their product offerings, they think about how recent events and influences will affect upcoming trends and techniques in room design. The movement toward “green” products that reduce harm to the environment is far from a fickle fashion — it is the basis for a new way of life in the paints and coatings industry. And one of the strongest examples is the development of waterborne clear wood finishes that are low in volatile organic compounds. 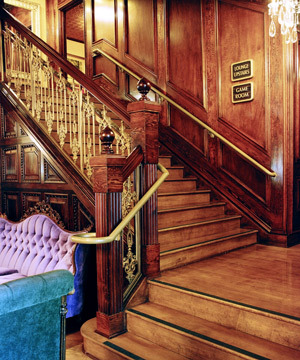 When it comes to clear wood finishes, the big green revolution is in interior applications. Inside homes and businesses the low odor and fast-drying qualities of waterborne finishes are highly valued. 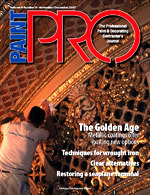 However, these same qualities call for some adjustments in application techniques by professionals who are accustomed to applying oil-based varnishes. 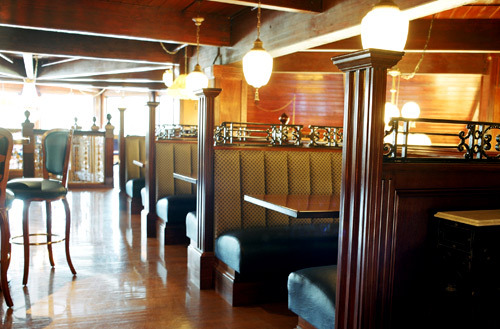 Over the course of one restaurant renovation, Hamberg’s crew refinished wood surfaces on the front door, sidelights, vestibule, window panels, accordion doors, grand staircases, trim, wall paneling, fireplace and art framework without interfering with the restaurant’s regular hours. “Drying times were so predictable that we could tell the restaurant staff exactly which areas we would need readied for each night’s work,” Hamberg says. 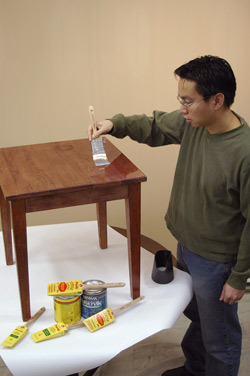 Franklin gives an example of a colleague who applied a waterborne finish to a large section of wood paneling using the same technique he had always used with oil-based finishes. He finished the top half first and then moved down to do the bottom. The result was a lap mark that ran all the way across the middle of the paneling. The problem with using that previously successful technique was the waterborne coating’s faster dry time, or shorter “open” time. When using a waterborne on a project like this, Franklin recommends taking the brush from the top down the complete length of the panel or door, then repeating the process all the way across so there is always a single wet edge that can be brushed into before the coating dries. There are efficiency advantages too. Setup and cleanup are faster, simpler and less costly with waterborne finishes. No containment tents or ventilation fans are needed. Brushes can be cleaned with soap and water. And disposal is simple because it involves no solvents or hazardous wastes. Finally, the lack of solvent odors means the space can be occupied in just a few hours.